INTERVIEW. To understand the failed democratic process in Myanmar, we have to listen to the people responsible. That’s the basic premise of Karen Stokkendal Poulsen’s 'On the Inside of a Military Dictatorship', which offers exclusive interviews with the country’s top generals. The documentary opened at CPH:DOX and is making its international premiere at Hot Docs in Toronto. The Western media cheered when the military regime in Myanmar released the iconic freedom fighter Aung San Suu Kyi from 20 years of house arrest and held the country’s first democratic election after half a century of military dictatorship. But joy soon turned to disappointment and horror. Just a few years after the election, the military demonstrated its unrelenting iron grip on the country by waging a bloody campaign against the Muslim Rohingya minority – a campaign that, to the bewilderment of the West, was neither prevented nor condemned by former Nobel Peace Prize laureate and current head of state Aung San Suu Kyi. Director. Born 1983. Holds a Master's degree in Political Science from the University of Copenhagen. But how did the democratic miracle end up as a bloody tragedy? And why did the military launch a democratic process in the first place if they didn’t intent to follow it through? To get answers you have to ask the people responsible. At least that’s the opinion of the filmmaker Karen Stokkendal Poulsen, whose documentary 'On the Inside of a Military Dictatorship' breaks down the situation in Myanmar based on exclusive interviews with Suu Kyi and a number of high-ranking military officers who have not been heard before. "We have heard from Aung San Suu Kyi, but not from the generals. Because getting access to them was difficult, and because they have been seen as villains who aren’t worth listening to," Stokkendal Poulsen says. "My thought was that, if we want to understand what’s been happening in Myanmar, we have to understand how these people think. Not because I want to justify their actions, but because I want to understand them." It was EU diplomat Robert Cooper, the lead character of Stokkendal Poulsen’s last documentary, 'The Agreement', who first gave her the idea to make a film about the democratic process in Myanmar. Cooper, who knew Suu Kyi personally, brokered the initial contact. "He saw to it that I brought along a bunch of her favourite cheese from London. That way, she had a good reason, apart from the film project, to meet with me. And it actually worked," says the director, who against all odds got to spend half an hour with Suu Kyi already at her first visit. Seeking to democratise authoritarian regimes is a recurrent Western project. That’s why we need to get a better understanding of how regimes are put together before simply condemning them. The next meetings, however, turned out to be harder to arrange. Stokkendal Poulsen quickly realised how complex it can be to navigate a regime that for decades has been so far out of the media’s reach. "I realised along the way how hard it would be to make the film, because this was an entirely different reality than I had ever operated in before. They haven’t had a free press very long, and the military people aren’t used to having to make themselves available to tell their stories. It took a really long time to open the doors, and keep them open." The challenges mounted. On several occasions, her crew experienced otherwise cooperative generals suddenly breaking off all contact. Moreover, the crew realised that they were being closely surveilled. In one instance, the whole correspondence with a high-ranking general mysteriously disappeared from the director’s phone. Nonetheless, Stokkendal Poulsen was allowed into some of the innermost chambers of power, where as a documentarian she was able to uncover truths that the press had been denied access to. "I found that I could talk about any subject, and I think that was possible because I approached people in a different way than the Western and local media do. I was critical, but I wasn’t trying to trap them or elicit obvious admissions. But since they weren’t all that media-savvy, they often revealed a lot anyway. Though they tried their best to control their stories, their underlying rationales and motives showed through very clearly." Along the way, the director learned that the generals’ so-called "democratic" constitution from the get-go was riddled with holes and caveats. This truth is very familiar to a lot of Burmese, but they don’t dare say it out loud. 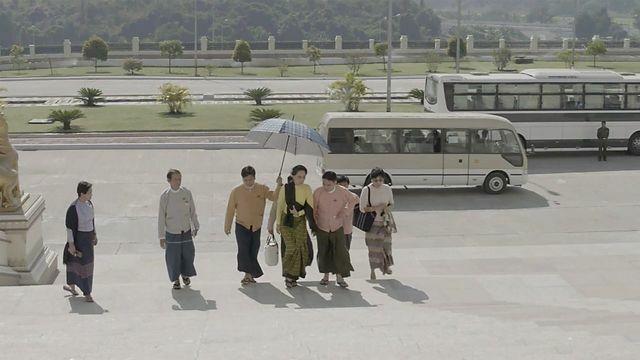 At the first screening of the finished documentary in Myanmar earlier this month, a Burmese in the audience said he was risking jail time just by being there. But he didn’t mind, he said. For him, the film was worth going to jail for. "That was both horrifying and flattering. But it also says something about why this film is important, I think. It’s important because there’s a need for those who can to speak the things that have been unspoken and put the injustice into words. I also sensed a great pride among the Burmese who helped out along the way or attended the screenings. With this story, I want to support them and their struggle for democracy and free speech." At the screenings, several Burmese declared that Stokkendal Poulsen had hit the nail on the head in her depiction and criticism of the transition to democracy. The film’s message, however, is not primarily aimed at them. "I made the film for Western audiences. The West has played a huge role in Myanmar in so many ways, via economic sanctions and press condemnations. That’s why it’s important to try and understand the nuance and structures behind the democratic miracle and the tragedy that followed," she says. "It actually goes much further than that. Seeking to democratise authoritarian regimes is a recurrent Western project. That’s why we need to get a better understanding of how regimes are put together before simply condemning them. We have to go inside the black box if we want to help dismantle it." Article published 27 March. Edited 3 April. 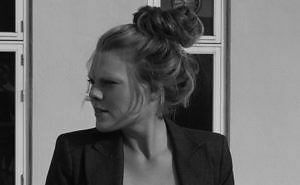 'On the Inside of a Military Dictatorship' is produced by Vibeke Vogel for Bullitt Film with support from the Danish Film Institute. The film world-premiered at CPH:DOX in March and is making its international premiere in competition at Hot Docs in Toronto (25 April – 5 May).